The Warsaw Texas Roadhouse held its ribbon cutting ceremony today, March 25. 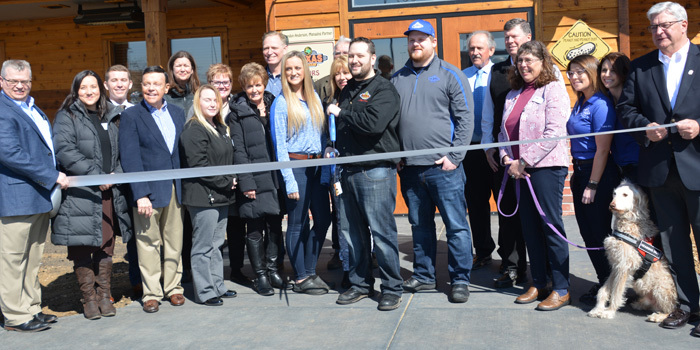 WARSAW — Texas Roadhouse in Warsaw held its grand opening ceremony today, March 25. 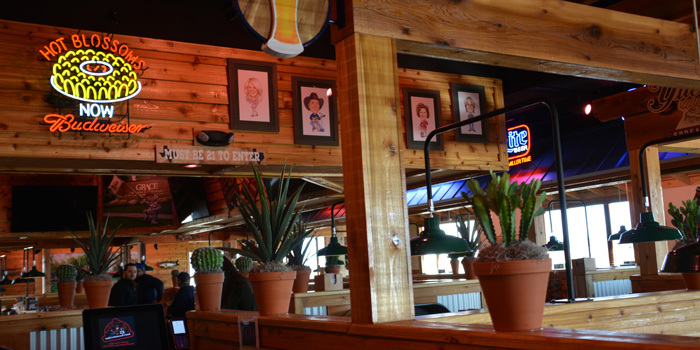 The restaurant, located at 700 W. CR 300N, is the 27th Texas Roadhouse location in Indiana. The new location will open to the public at 4 p.m. today. Mayor Joe Thallemer and members of the Kosciusko Chamber of Commerce were present at the restaurant’s opening and ribbon cutting ceremony. The Warsaw location is open daily from 4 to 10 p.m. Mondays through Thursdays; 4 to 11 p.m. on Fridays; 11 a.m. to 11 p.m. Saturdays; and 11 a.m. to 10 p.m. Sundays. Texas Roadhouse is a chain restaurant that specializes in steaks. The franchise’s other nearby locations include South Bend, Elkhart, and Fort Wayne. The restaurant will open to the public at 4 p.m. today, March 25.